To be a writer is to sit down at one’s desk in the chill portion of every day, and to write; not waiting for the little jet of the blue flame of genius to start from the breastbone— just plain going at it, in pain and delight. To be a writer is to throw away a great deal, not to be satisfied, to type again, and then again, and once more, and over and over. Source: Craigie, Cheryl A. (2012-12-04). 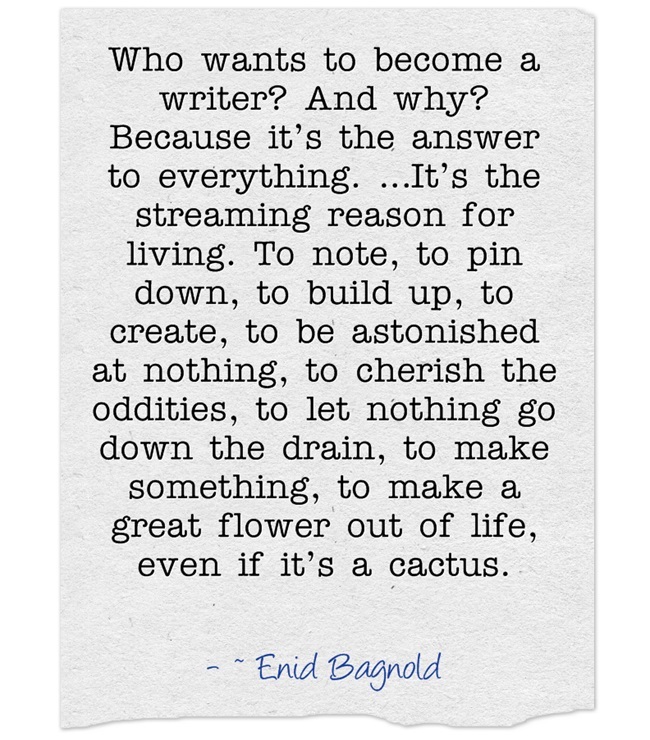 Instant Inspiration Quotes on Writing and the Writing Life (Kindle Locations 350-351). Cheryl A. Craigie. Kindle Edition. Adore these quotes and always appreciate Maya Angelou and Mark Twain. I think I write so there is a record of my thoughts that I hope uplift or help people … as well as myself.